Dumpsters.com has affordable demolition waste dumpsters to keep even your biggest jobs rolling efficiently. Whether you’re removing a detached garage or tearing down a multi-story building, we provide effective demolition waste management for all your debris. 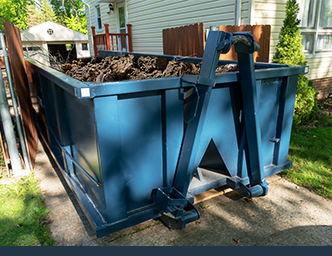 We’ll deliver your demolition bin fast, and you can count on our expert team for prompt empty-and-return service if you have too much to haul all at once. Let us handle debris disposal so you can focus on the real work. 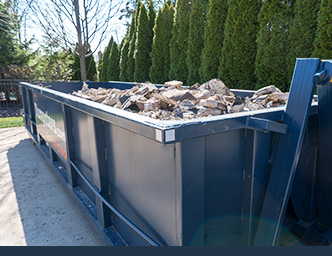 The right demolition dumpster for your needs depends on how large of a structure you’re knocking down and what materials you’re dealing with. Check out the container types and sizes below to find the best fit for your job. Planning a major project? You can rent multiple dumpsters at a time or call your team member at their direct extension for a swap out. Please note: Availability can vary by location. For information specific to your area, call us at 844-444-3867. In most areas, we can only haul heavy debris in these bins. If you have other debris types to get rid of, we recommend renting multiple dumpsters. Learn More or call 844-444-3867 for pricing. In most areas, we can only haul dirt in these containers. If you’ll also have shrubs, tree clippings or similar material to get rid of, we recommend also renting a yard waste dumpster. If you have concrete, brick or block to get rid of, see below for a heavy debris bin. These have higher weight limits to help you avoid overage fees on your demolition dumpster rental. 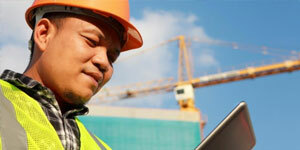 Why Choose Us for Demolition Waste Removal? 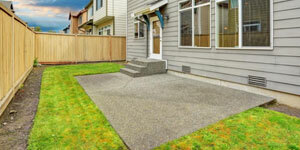 We give you the full cost of your demolition dumpster upfront. Our flat-rate pricing covers disposal, taxes and a covered weight limit so you can budget accurately. We’ll set up your order fast, deliver on time and pick up promptly. You’ll talk to a real person whenever you have a question or request. We’ll make sure you get the right type, size and number of bins for your debris. The weight of heavy debris can add up quickly but our team will make sure you know how high to fill your demolition bin to stay within your weight limit and avoid overage fees. 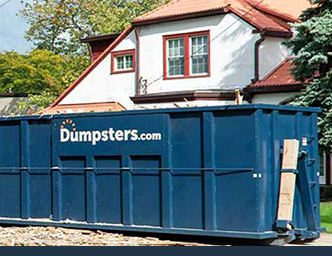 When you partner with Dumpsters.com for your demolition bin rental, you’ll get expert advice from a team that knows the best way to handle any debris removal situation. When you call us, we’ll take the time to learn about your project in order to recommend the best container type and size. Need to rent multiple demolition dumpster types or more than one size? No problem. Need to schedule a swap-out? A quick call is all it takes. Just let us know where you are and what kind of waste you’re dealing with. We’ll take care of the rest. Need some advice for your demolition project? Check out these recent posts from out blog. Ready to Get Rid of Your Debris?